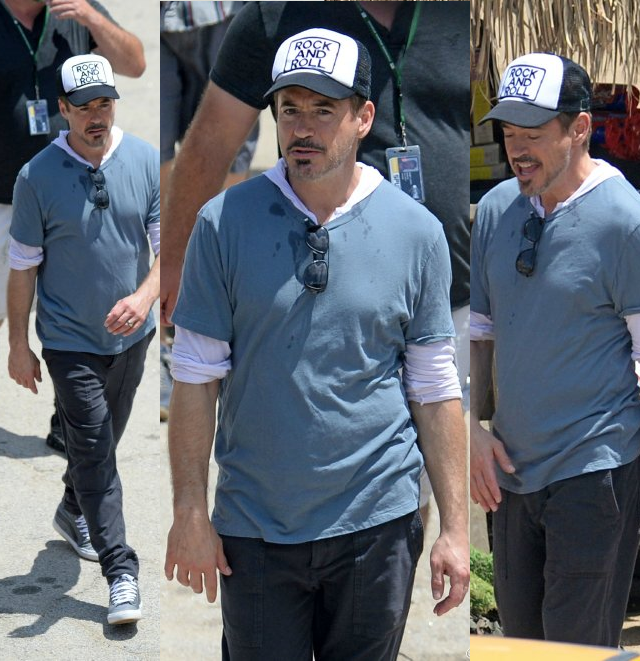 By my estimation, it appears that the crew for Civil War has been working on about 4-5 pages of the script on the shanty town set we already seen hitting the internet. So, as they progress with the production, more of the incredibly expansive cast of Civil War is heading to start filming on the upcoming Marvel epic. 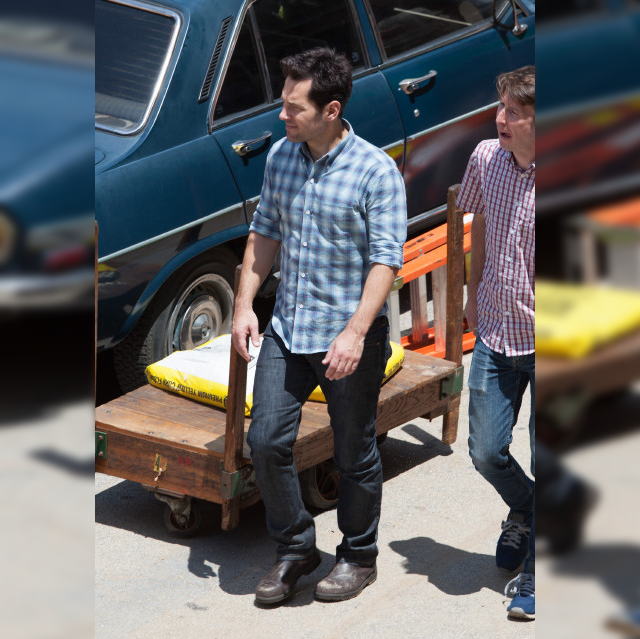 Photos of Robert Downey, Jr. (Iron Man) and Paul Rudd (Ant Man) now show that this particular street feet with Crossbones (Frank Grillo) may bring us the assembly of the Avengers. Captain America: Civil War picks up where Avengers: Age of Ultron left off, as Steve Rogers (Chris Evans) leads the new team of Avengers in their continued efforts to safeguard humanity. After another international incident involving the Avengers results in collateral damage, political pressure mounts to install a system of accountability and a governing body to determine when to enlist the services of the team. The new status quo fractures the Avengers while they try to protect the world from a new and nefarious villain. 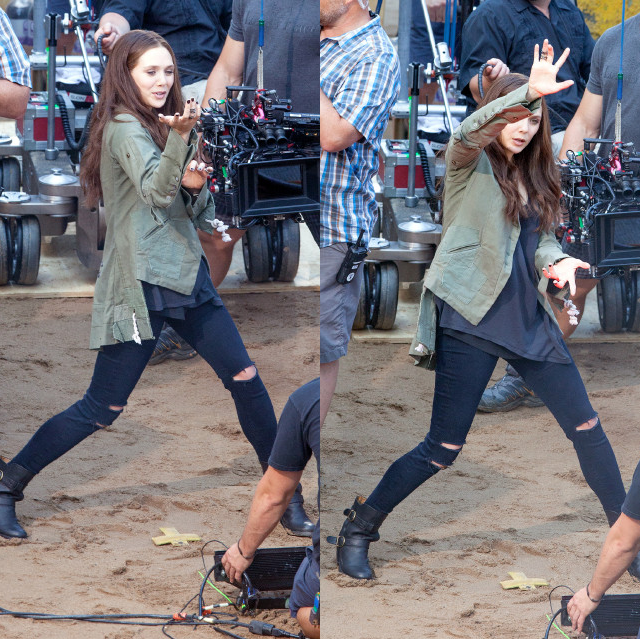 Starring Robert Downey Jr., Scarlett Johansson, Sebastian Stan, Anthony Mackie, Paul Bettany, Jeremy Renner, Don Cheadle, Elizabeth Olsen, Paul Rudd, Chadwick Boseman, Emily VanCamp, Daniel Brühl, Frank Grillo, William Hurt, and Martin Freeman, Captain America: Civil War is set for release on May 6, 2016.